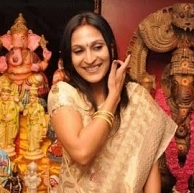 Post her maiden directorial venture 3, Aishwarya Dhanush is supposedly ready with her next movie, which would feature Gautham Karthik of Kadal fame in the lead. Anirudh is set to compose the tunes for this film as well and he would be looking to better the lofty benchmark that he had set for himself with 3. Aishwarya has revealed that nothing has been finalized yet but her script gives Gautham a lot of scope for performance. After the script narration, it seems Gautham was thrilled to bits. A top production house might be bankrolling the project and official statements are awaited. Is Samantha ready for marriage already?